We will soon be experiencing the part of the year where hail causes the most damage on a nationwide basis. According to the National Oceanic and Atmospheric Association (NOAA), from March to June, the average hail loss claims per month has been about 126,000. This is a major increase from the monthly average of the other eight months, which is a little more than 25,000. 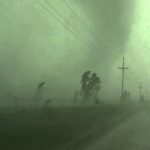 When it comes to major storms, that at times can cover multiple states, the costs reach approximately $1 billion. Statistics provided by the National Oceanic and Atmospheric Association. 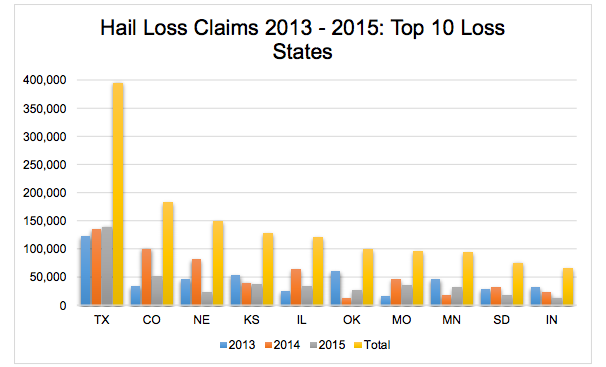 According to this report, Texas has experienced the most damage from hail by far compared to the other 49 states. Of those damages reported to personal property, it was Personal Property Homeowners (PPHO) policies that were affected the most. These home damage claims made up more than 50% of the overall claims. 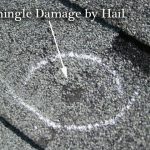 When hail hits a home, the most common type of damage caused is hail roof damage. The roof plays an important role in ensuring your entire home remains protected. This is why we greatly encourage our customers to keep their roof’s protection in mind. 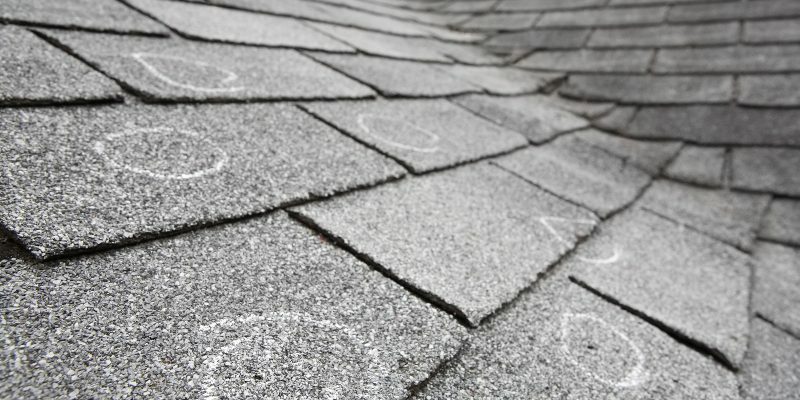 When a storm hits your home and there is heavy hail involved, it is best to have your roof inspected for damage. 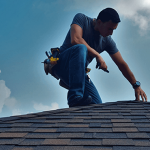 If there is storm roof damage, then you should have your roof fixed quickly before the arrival of another strong storm or before a small problem becomes a large one. 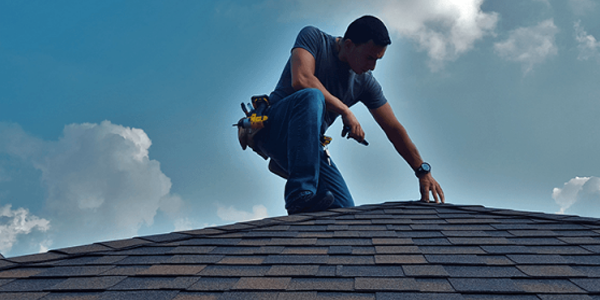 To ensure you get the best roof replacement or roof repair, contact our Houston office before you contact your insurance adjuster so that we can be there when the adjuster makes their inspection. This is to help make sure you have someone there to represent your home’s interests. 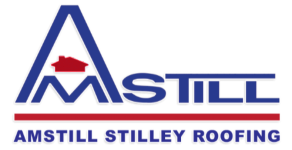 At Amstill Roofing, we specialize in roof replacement and roof repairs for those homeowners who have experienced storm or hail roof damage. 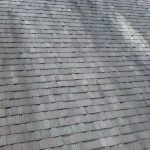 With a greatly increased chance of numerous hail storms in Texas, particularly in Houston, over the course of the next few months, it would be a good idea to have one of our roofing professionals come inspect your roof. We want to make sure that your home is ready for the inevitable storms.